Originally published under the title "Extremist Muslims' One-Way Street." 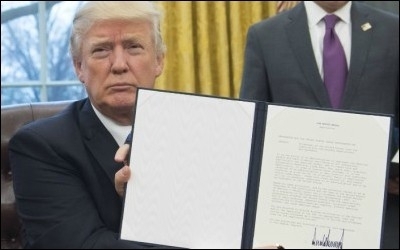 Trump's January 27 executive order temporarily limiting entry from seven majority-Muslim countries has unveiled the hypocrisy of extremist Muslims on civil liberties. Islamic extremists understand freedom as a one-way street intended for Muslim minorities only. Unfortunately, I am of the opinion that rising Islamophobia, xenophobia and anti-immigrant feelings have a great weight on this decision. Taking such a decision in a country such as America, where different ethnic and religious groups are able to co-exist, is very offensive. Deportation and a lifetime ban is the minimum penalty for non-Muslims trying to enter the holy city of Mecca. Look at Saudi Arabia. 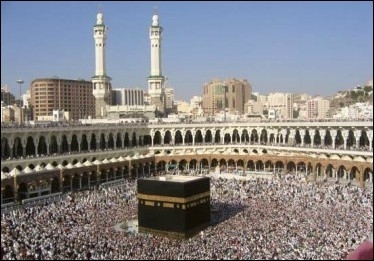 Deportation and a lifetime ban is the minimum penalty for non-Muslims trying to enter the holy city of Mecca. In 2013, the Saudi Minister of Justice, Mohamed el-Eissi, insisted that "the cradle of the Muslim sanctities will not allow the establishment of any other places of worship." In Iran, where even non-Muslim female visitors must wear the Islamic headscarf, the government continues to imprison, harass, intimidate and discriminate against people based on religious beliefs. A 2014 U.S. State Department annual report noted that non-Muslims faced "substantial societal discrimination, aided by official support." At the release of the report, then Secretary of State John Kerry said: "Sadly, the pages of this report that are being released today are filled with accounts of minorities being denied rights in countries like Burma, Iran, Pakistan, Russia, Saudi Arabia, many others." Why do Muslim nations suddenly become human rights champions in the face of Trump's travel ban?